These hostas show how much colour you can have from different shades of green. They do a great job in brightening up this shady spot. Hostas are an excellent low maintenance plant which are admired for their range of leaf colour. The fundamental problem of hostas is the old enemy the slug. The advantage of growing in pots is that it is much easier to protect them from slugs which for some reason take a particular liking to hostas. Hostas do best in shady / woodland environment. In full sun, they may struggle. Though they do like a few hours of sun each day. They also like a moist soil. In pots, you will need to be careful they don’t dry out. If they are in the shade, they are less likely to dry out, but, it may still be worth adding a few water retaining capsules. 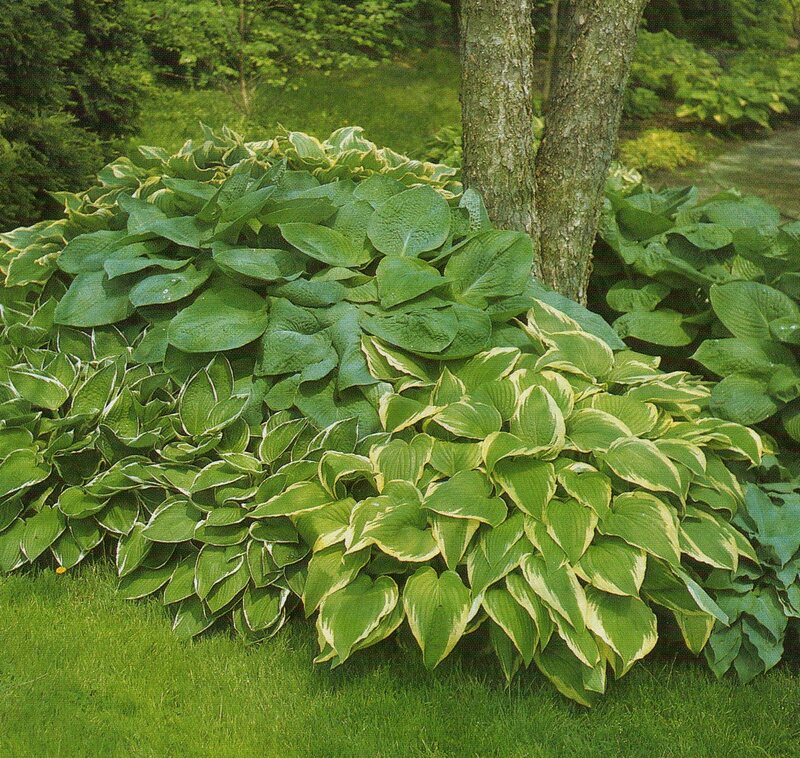 Hostas don’t thrive in full sun. You are better off choosing different plants for a hot sunny position. If you really want hostas, generally yellow / golden varieties will do better. Try varieties like ‘sun power’ August Moon, Gold Regal, Golden Sculpture Rising Sun, and Squash Casserole. Hostas from the species H. plantaginea, need exposure to sun to develop their flowers. 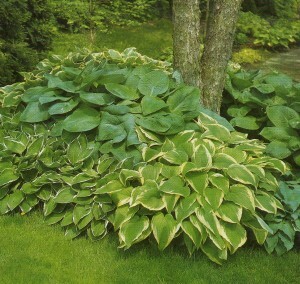 Hosta plantaginea is one of the most heat tolerant Hosta species. Blue Hostas are the most vulnerable to full sun. You will find that exposed to full sun, they are liable to lose their blue coloured leaves.